WASHINGTON (May 9, 2018) — The Center for Global Health Science and Security (CGHSS) at Georgetown University Medical Center announces the launch of a new research and education program focused on biosafety, biosecurity, and protecting health and safety of the laboratory and clinical researchers whose work is vital to strengthening global health security. 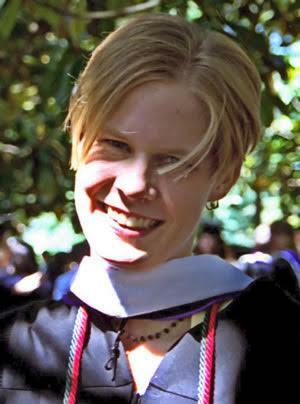 The program is named for Elizabeth R. Griffin, a young researcher who died in 1997 of a laboratory-acquired infection following ocular exposure to a macaque virus while working at a Georgia primate research facility. In response, Beth's family created a foundation in her name to explore ways to prevent similar events from occurring while still demonstrating strong support for safe and responsible research. The Elizabeth R. Griffin Research Foundation has entrusted Georgetown University to continue its research and education missions, launching a new era as the Elizabeth R. Griffin Program (ERGP). "We are honored to be selected to continue the Foundation's important mission," says Julie Fischer, PhD, who will direct the new program. "The Elizabeth R. Griffin Program will focus on strengthening the evidence base for implementing biosafety, biosecurity, and occupational health programs for the workers on the frontlines of laboratory research and health security throughout the world." Fischer, co-director of the CGHSS, says the ERGP will have immediate impact because the Foundation developed strong partnerships over the last 20 years, forging collaborations among animal health and human health organizations that are invested in sharing lessons learned in prevention. The Foundation and CGHSS were also founding members of the Global Health Security Agenda Leadership Consortium in the U.S.
"The new program will build on the Elizabeth R. Griffin Foundation's legacy of bringing together experts from across disciplines, sectors, and regions to develop innovative approaches to reducing biological threats, from infectious disease epidemics to biological safety and security challenges," Fischer says. "We are thrilled that the Foundation's founder and president, Caryl P. Griffin, M.S.N., M.Div., and executive director James Welch will continue to lend their distinctive perspectives to CGHSS as Center Affiliates, and we look forward to working together to promote improvements in occupational health and biosafety while we build new collaborative research partnerships to strengthen the evidence base for preventing, detecting, and responding effectively to biological threats anywhere in the world." Strengthening global health security networks and leadership to achieve to make the world safe and secure from infectious disease threats. "We are very excited with the significant impact potential that Georgetown University and the GHSS present for Beth's legacy and the work we have done to date," says Jim Welch. "We chose Georgetown and GHSS over other considerations for their unequaled reputation for integrity, dedication, service and quality programming in global health security — specifically with their team's renowned expertise in expanding biosafety and biosecurity throughout the world. We are especially pleased that Dr. Julie Fischer, a professional who is so widely admired, will be leading the Elizabeth R. Griffin Program." The Center for Global Health Science and Security (GHSS) is based at Georgetown University Medical Center. CGHSS scientists conduct research to help build sustainable capacities to prevent, detect, and respond to public health emergencies worldwide. Georgetown University Medical Center (GUMC is an internationally recognized academic medical center with a three-part mission of research, teaching and patient care (through MedStar Health). GUMC's mission is carried out with a strong emphasis on public service and a dedication to the Catholic, Jesuit principle of cura personalis — or "care of the whole person." The Medical Center includes the School of Medicine and the School of Nursing & Health Studies, both nationally ranked; Georgetown Lombardi Comprehensive Cancer Center, designated as a comprehensive cancer center by the National Cancer Institute; and the Biomedical Graduate Research Organization, which accounts for the majority of externally funded research at GUMC including a Clinical and Translational Science Award from the National Institutes of Health. Connect with GUMC on Facebook (Facebook.com/GUMCUpdate), Twitter (@gumedcenter) and Instagram (@gumedcenter).